This book is all about IHC gas and gasoline engines. It starts off by discussing the advantages of buying an IHC and the construction of the various IHC engines. 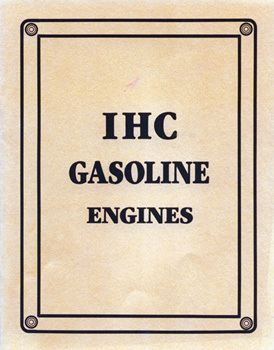 It then goes on to fully illustrate and describes IHC engines such as the stationary kerosene engine, vertical and horizontal gasoline engines, mounting engines, portable engines, and many more. Any fan of the International Harvester Co. (IHC) will appreciate this informative book.